Welcome to my website. I have met many of you in my gallery and at art shows. As you know I am a professional nature photographer. The majority of my work focuses on local flora and fauna of SW Florida. My work has been published in many publications including, Audubon Magazine, The Florida Naturalist, Gulf Shore Life Magazine, Shutterbug Magazine, Birders World to name a few. The work I did on the Corkscrew Swamp Sanctuary's unique Ghost Orchid has been published all over the world including Russia. I was presented with the Audubon Florida's photographer of the year award in 2012. 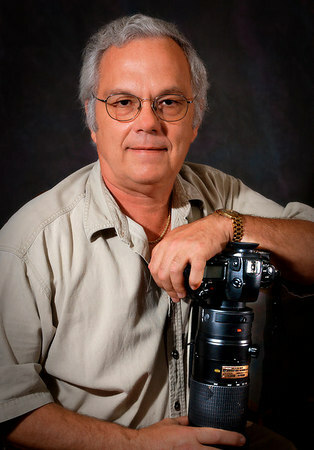 I enjoy photographing in SW Florida, as well as in several western states. My specialty is focused on birds and landscapes. The "Artistic Series" images were developed as an extension of my photography and have become very popular. Carefully selected images are processed to give them a soft unique look, and infused into metal as well as photo paper, bridging the gap between an oil painting and a photograph. These images will have “a” in their file name. Thousands of hours are spent in the field trying to capture an image that reflects the bird or animals spirit. I usually keep the first image that I take the first image reflects the reason why I stopped at that spot, It will capture the emotions I was experiencing when I stopped in the first place There is something magical in that first image.